Mary McAteer, MD was inspired to become a pediatrician as a child, growing up with 7 younger siblings. She grew up in Richmond, Indiana and is a Purdue University graduate. She earned her medical degree and completed her pediatrics training at the Indiana University School of Medicine. 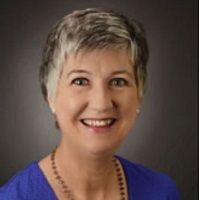 Dr. Mary is active in the Indiana Chapter of the American Academy of Pediatrics, the Indiana State Medical Association, The Indianapolis Medical Society and serves on the Vital Incite Advisory Board. She is dedicated to providing care within a patient-centered medical home and feels right at home at Cornerstone Family Physicians. She loves playing tennis, cooking, enjoying out-of-doors activities, and sharing books with her husband, 4 children, and grandchild.